There are certain designer items out there that people will pay a premium to have in their closets. We recently went over the bag and shoe style that hold their own even at the resale level, but there’s actually one other key sneaker silhouette to add into this high-end mix—the Louis Vuitton Archlight sneakers. In fact, it’s also one of the styles that are selling out the fastest on luxury consignment mecca The RealReal. “On average, it sells for 90% of original price, depending on factors like condition, color, and size. 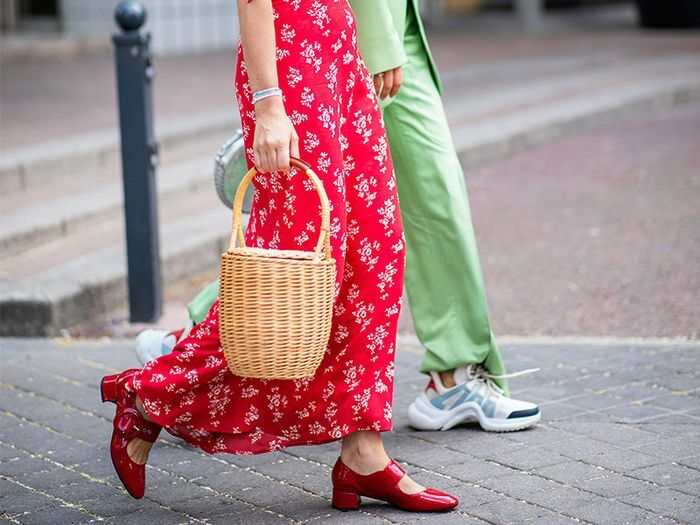 Certain versions of this shoe (like the monogram) sell for up to 20% above retail due to limited availability,” said chief merchant Rati Levesque. For reference, the estimated retail value of the shoes is $1090. Furthermore, according to Levesque, people are thinking about their purchases like these LV kicks more as investments regardless. “Customers are more inclined to pay a premium or make a big purchase on something knowing they can eventually consign it and make a significant portion back on the original cost,” says Levesque. This sort of logic makes sense, especially for timeless items or trend pieces that still have a few more seasons in them like the Archlight sneakers. What do you think of the Louis Vuitton sneakers? Feeling them? If you’re deciding to splurge, keep scrolling to check out how the fashion elite wears the trainers now, plus shop them, including other designer styles worth considering this season. Next, check out the designer bag people pay a premium to own.